A-HOTEL.com - Luxury and cheap accommodation in Golubeva Dacha, Russia. Prices and hotel, apartment booking in Golubeva Dacha and surrounding. 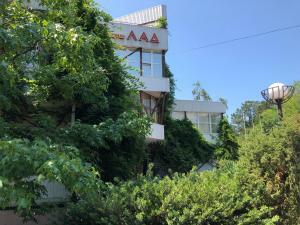 This indicative offer was derived from the most recently booked accommodation in Golubeva Dacha and sort by the price, from cheapest Golubeva Dacha accommodation to the most expensive hotels. To select accommodation by your preferences we recommend to choose from 2 accommodation offers in Golubeva Dacha in total. By entering the dates of your overnight stay in Golubeva Dacha and using the filter tools you can sort the best possible accommodation for you. The entered dates of your stay are crucial for the most accurate offer as it derives all the online information on pricing and availability of Golubeva Dacha accommodation. Then you can book the selected Golubeva Dacha lodging (hotels, apartments etc.) immediately. Guest house na Chernom More is set in Golubeva Dacha and features a garden, a terrace and a shared lounge. Guests can enjoy sea views. Located in Golubeva Dacha, Gostievoi dom "Kanapie" has barbecue facilities. Among the various facilities are a garden and a terrace. Set in Makopse, Bambuchok Guest House provides free WiFi. All rooms feature a kitchen, a TV with satellite channels, and a shared bathroom. Located on the beachfront in Makopse, Guest house on Koltsova features barbecue facilities and free WiFi. Boasting a shared kitchen, this property also provides guests with a terrace. Felichita offers pet-friendly accommodation in Makopse. Free WiFi is available and free private parking is available on site. Set in Makopse, Vacation Home Morskaya Skazka offers accommodation with free WiFi and flat-screen TV, as well as a seasonal outdoor swimming pool. All units come with a terrace with sea views, a kitchen with a fridge and a stovetop, and a private bathroom. Valentina offers accommodation with barbecue facilities and free WiFi, and is set in Vishnëvka. All of the units feature a shared bathroom, TV and fully-equipped kitchen. Located within a 5-minute walk of the Black Sea beach in Makopse village, Lazarevsky District, Lad Resort features a sauna and an outdoor swimming pool. It includes design interiors and rooms with a balcony and terrace. Located a 10-minute walk from the Black Sea beach in Makopse, AndriaNova Hotel offers an indoor pool, sauna and fitness centre. A children's playground and animation for kids are also offered on-site. 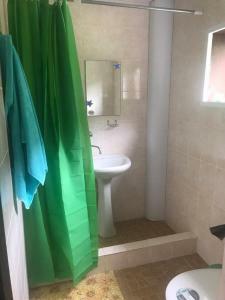 Гостевой дом provides rooms in Vishnëvka. Featuring a shared kitchen, this property also provides guests with a terrace. Guest house on Maykopskaya 77 is situated in Sochi and has a seasonal outdoor swimming pool and barbecue facilities. Both private parking and free WiFi are accessible on site. Vishnevka Guesthouse in Sochi provides accommodation with a garden and a terrace. Free WiFi is provided.